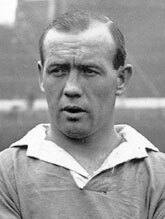 A point reported inconsistently is the number of goals scored by ex QoS wonder player Hughie Gallacher. On 23rd February 1929 Scotland played Northern Ireland in Belfast. Gallacher and Alex Jackson put on a wondrous show for the Scots in winning 7-3. Jackson scored two and made the five others. There is no debate Gallacher scored at least four in that match. He said though after the game, "Several newspapers mistakenly credited Alex James with one of my scoring efforts." Gallacher’s SFA profile credits him with four goals in that game and a senior international total of 23 strikes. However elsewhere on their website the SFA state, "He also holds the record for most goals scored by a single player in a match, scoring five in a 7-3 victory over Northern Ireland in 1929." The Queens Legends article on Gallacher on www.qosfc.com has been updated accordingly.